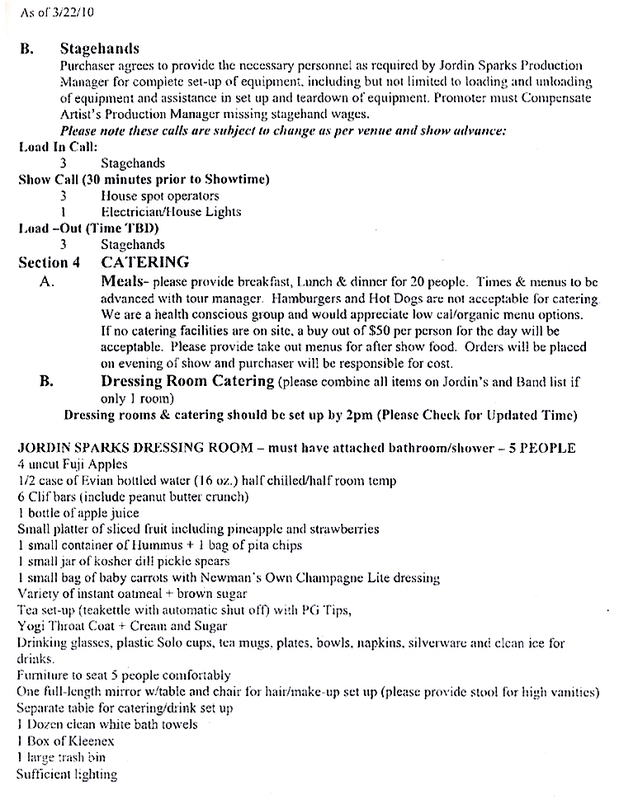 If we didn’t know better, Jordin Sparks’s concert rider makes it seem as if she needs a backstage shower that fits five people. 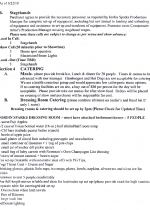 Sparks, winner of the sixth season of “American Idol,” lists both “Sufficient lighting” and a “small jar of kosher dill pickle spears” as dressing room requirements, according to her rider, which is excerpted here. 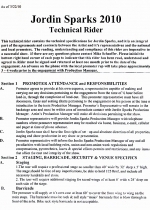 Submitted by FormulaKimball on Tue, 2011-05-17 17:27. 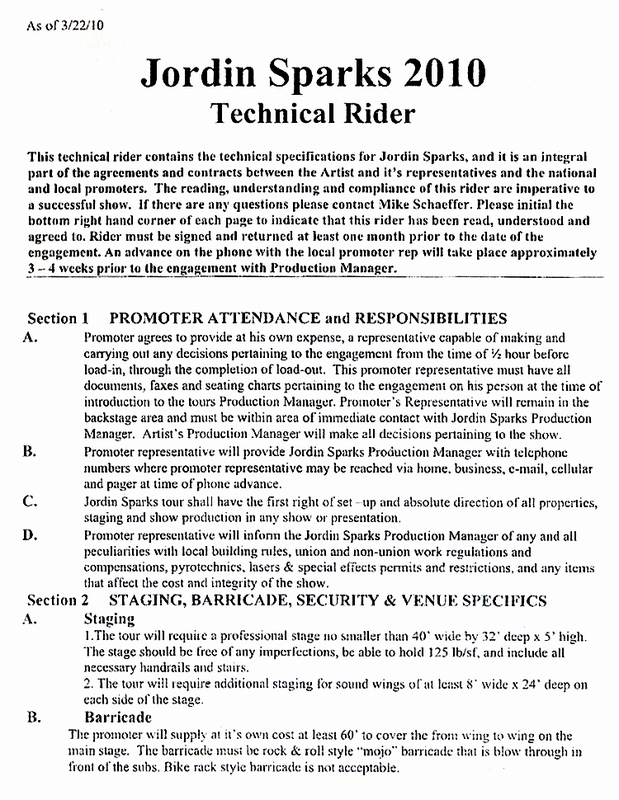 Something to think about - if you didn't spell it out in your rider, you'd be surprised what promoters would hand you. Every night. Even if you're not a health nut you'd be scrambling to update your rider after the 14th time you were served pizza (or something equally cheap/unhealthy) for dinner on a 3-week tour. The rider is like any business arrangement - you don't get what you don't ask for. And while many promoters go out of their way to accommodate you beyond your expectations, quite a few will do the most half-assed job they can get away with.